My name is Sara Dickson, I have been a registered nurse for 38 years. Most of my career has been spent at The Brigham and Women’s Hospital in Boston, MA. The last 21 years I have worked in the Neonatal Intensive Care Unit in a family focused setting, caring for critically ill newborns. My passion for humanitarian nursing began shortly after I graduated with my BSN from The University of Massachusetts at Dartmouth. In 1985, I joined the Peace Corps and traveled to Liberia in West Africa. I lived and worked in remote villages in the northeast central region of the country for 2 years. Shortly upon my return to the USA in 1988, I met my husband Darryl. We just celebrated our 28th wedding anniversary in April. We have been blessed with 2 daughters and 1 son who are now all grown up and doing amazing things! 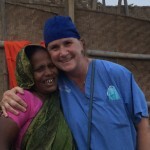 I credit my kid’s high school chemistry teacher, Kathy Crosson president and founder of “Missions For Humanity” for getting me back into humanitarian work. During each of my children’s junior years (2008,11,12) in high school I travelled with them and a diverse group of medical professionals, educators and students to Tanzania to work with “Missions for Humanity”. This was a life changing experience for my children and I believe it was instrumental in shaping their decisions as they moved forward in life. 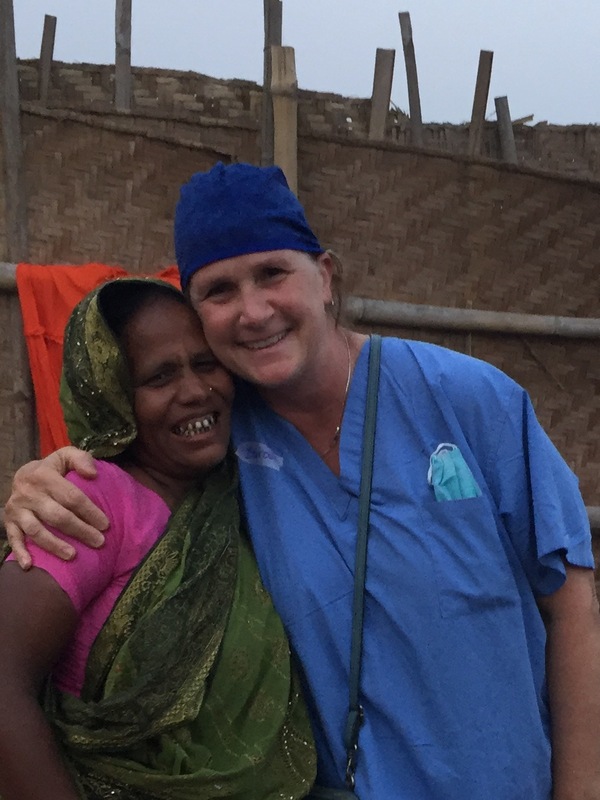 In April of last year, I traveled to Bangladesh to work with “A Stitch in Time”, a nonprofit women’s surgical team started by a fellow nurse volunteer I met in Liberia. This year I am honored and grateful to receive a scholarship from “One Nurse At A Time”. In July, I will be volunteering on my 4th trip to Tanzania with “Missions For Humanity”. This time my husband gets to go to see why this works makes me so happy!! I look forward to sharing special stories and experiences upon my return.